Sometimes, I want to post a recipe or a recipe idea just because it worked surprisingly well and I want to remember it for future reference not because it's something extraordinary or necessarily special. This is one such 'recipe'. 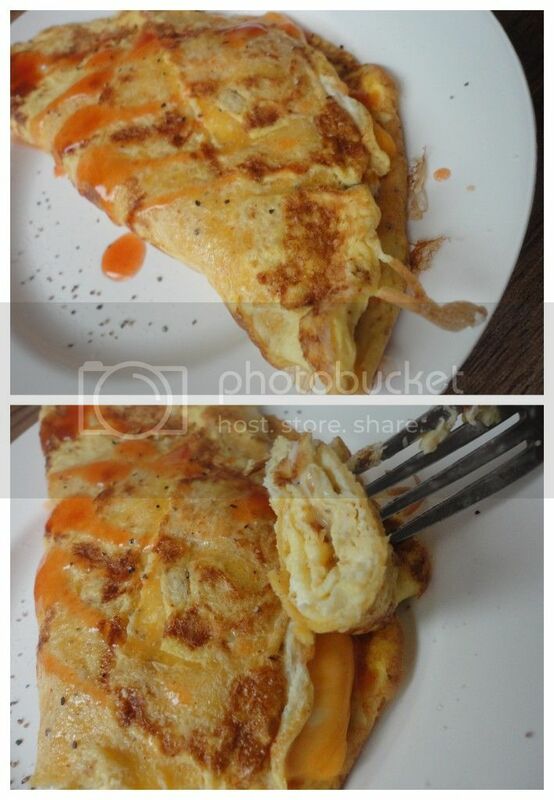 Because it's really just an omelet. Surrounding a corn tortilla and stuffed with cheese. I whisked my eggs as per usual, poured into a hot skillet, let it set for a minute or so before setting a corn tortilla on top and working the uncooked egg over the top of the tortilla. Let it set a bit longer, flipped the whole thing over, sprinkled on some cheese, folded it over and let it finish doing it's business. An incredibly quick and easy weekend brunch for one.